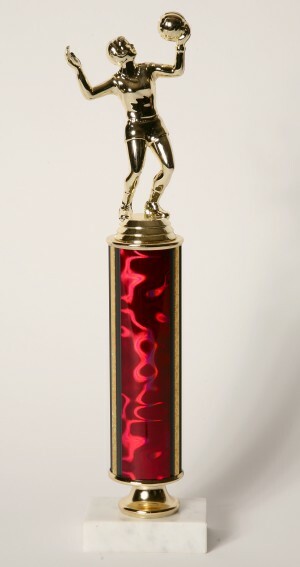 This is a classic volleyball trophy with a single red lava column and a volleyball player figure. Not what you are looking for? View more options on our volleyball trophies page.